Taste this after you make it, make sure you taste all the ingredients. 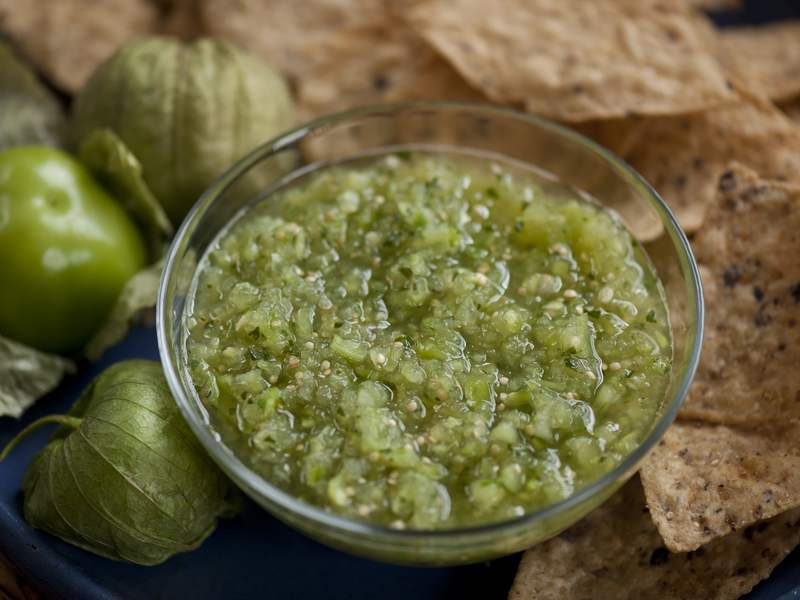 Place the tomatillos, chiles, and water in a blender or food processor. puree just until chunky. Add the scallions, cilantro, and salt and puree about 2 minutes longer, or until no large chunks remain. Variation: For a mellower version of tomatillo salsa, try roasting the tomatillos, chiles, and scallions under the broiler until blackened, about 5 minutes. Then place the roasted items in a blender or food processor with the remaining ingredients and puree.